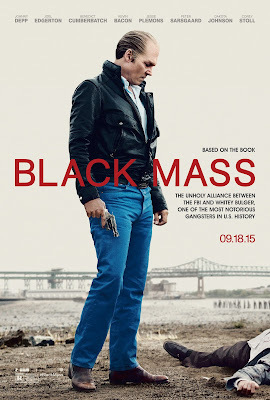 Notorious gangster James "Whitey" Bulger gets a cinematic tall tale in Black Mass. As storied as his criminal career might have been, the film doesn't delve deeply into either the inner workings of his criminal empire or into his twisted mind. Despite its ominous title, Black Mass doesn’t tap into a twisted interpretation of Bulger’s Irish Catholic faith either. In fact, the film doesn’t examine any emotional or socio-political themes. Scenes play out not as organic creations of the story, but because, well, other gangster films have them. Everything that happens, occurs because they are "supposed to" happen in this genre. When someone gets clipped it leaves no emotional resonance on the audience. Two deaths in particular impact Bulger… which the audience learns secondhand by other characters. An entire sting operation of Bulger’s rivals happens off screen. The film incessantly tells, not shows. 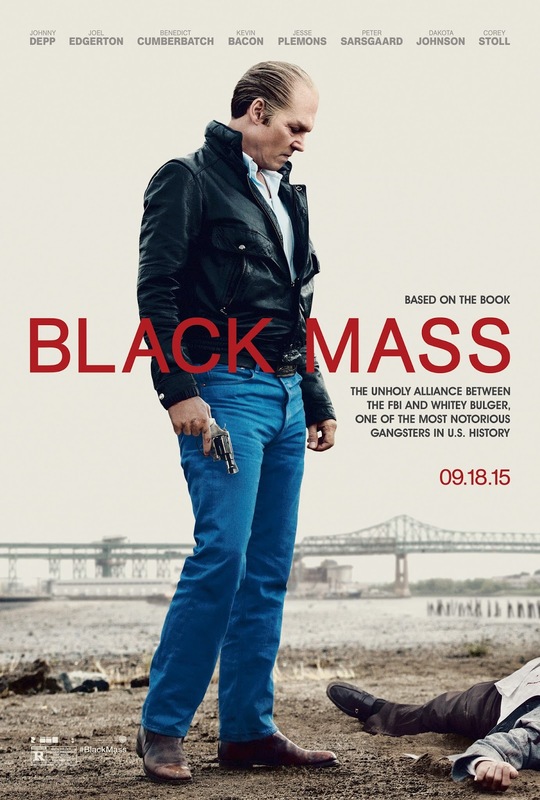 Black Mass covers some 20 years of Bulger’s rise to power and eventual disappearance, roughly 1975 to 1995. A few throwaway lines give the most insight into Bulger’s character. For example, he took copious amounts of LSD as part of a government experiment while locked up in prison. With so much ground to cover the filmmakers elect to use the confessions of Bulger associates as a framing device. Unfortunately, this means the film is is narrated by these bland henchmen, making Bulger in effect, a side character to his own story. If a filmmaker decides to tell, they should at least have someone interesting doing the recounting the tale. The film, despite lack of narrative substance, is beautifully shot and has an excellent ensemble cast. Led by a terrific Johnny Deep as Bulger, the cast includes Joel Edgerton, Benedict Cumberbatch, Kevin Bacon and Corey Stoll. While he might not command every scene, Depp's Bulger looks as rotten on the outside as he does on the inside. He's part Nosferatu and part-Scarface. A terrific scene of menace during a dinner party late in the film embodies how much energy the film lacks for most of its runtime. Director Scott Cooper coaxes solid performances and films the proceedings with a solid, photographic quality. Cooper updated The Deer Hunter for the post-recession era in Out of the Furnace, but he and his crew fail to add anything new to Black Mass. Black Mass doesn't join the short list of gangster film classics. It's not even the best Boston crime film.